It’s hard to believe that the 2011 National Ride will be our 10th annual, wow time flies! In our travels, since the inception of this annual adventure, we have enjoyed some awesome trails each unique in their own way and the experience they have offered. Even with all of that variety they had one thing in common, gathering together with other friends new and old to experience all that ATV’s have to offer. The 2011 National ride will be held June 11th –June 18th at the Golden Eagle Camp & Outfitting located in Ontario Canada. Golden Eagle is located between the towns of Elk Lake and Matachewan on hwy 65 and on the shores of the Montreal River. The world is yours! Drive directly out of Golden Eagle camp to explore and enjoy the Canadian “bush”. 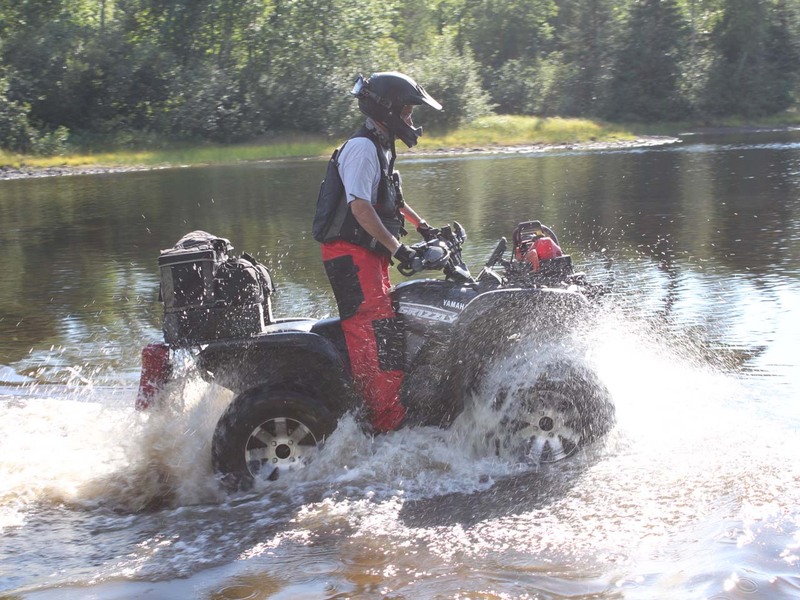 ATV’s and side by Sides are allowed to travel on local highways, town roads, logging roads, snowmobile trails, and paths. On a recent trip to the area we set out to experience as much as we could of the area trails, what we discovered are that most of the trails were hard pack or sandy overgrown trails. We came across very little mud, but it’s been a dry summer so that may change by the time the National ride rolls around. We doubt there will be any significant change to the majority of the trails we were on. If you’re looking for mud, I’m sure with a little effort you could probably find all you can handle. The areas back trails are not marked, so I suggest you bring a GPS or travel with one of the guided groups. The scenery in this area rivals any of our past locations, rock faces, remote lakes, rolling hills covered in deep forest are breath taking. This ride will offer a life time of memories! For additional information visit us at www.atvnation.com/forum and go to the “Up Coming Rally's, Events, and Sponsored Rides” section on our forums or contact us by email at administrator@atvnation.com.